Timbecon originally started as a retail timber and tool supplier in May 1989. 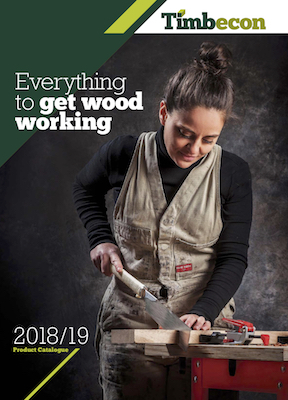 There was a demand for specialist timbers, tools and supplies in Perth that was not being satisfied and in fact, most of the range that you see now began as us sourcing customer requests. We started life going above and beyond to help Australian woodworkers and we haven't stopped since. That's why you'll find a huge range of products at Timbecon, great and small, that you can't find elsewhere. To this day, many of the new items that are added to our range are generated from multiple customer requests and when we see broad demand for these items, we add them to the range. Since our humble beginnings all those years ago, Timbecon has grown from a small independent timber and tools retailer to one of Australia’s leading woodworking tool suppliers. We've achieved this by listening to our customers every step of the way; our customers and our staff are our most important assets. Since the very beginning we knew there was a need for more high-quality information and instruction about woodworking projects, as well as the tools themselves. We have dedicated ourselves to not only educating our customers and their families, but the entire world about our products, the best techniques, and the joy that is woodworking. We started running Saturday morning demonstrations in the early nineties (before it became a fashionable marketing tool) to enable woodworkers to get together and learn more about woodworking, while socialising with other like-minded people. Timbecon has always led the Australian woodworking industry in innovative best practice. In the year 2000, we were the first specialist woodworking company to release an online shopping website with our complete range. Today, we're harnessing the power of YouTube to deliver a renowned series of DIY and industry insight videos. This information is always accessible, so you can find trusted, expert advice on virtually any aspect of woodworking when it suits you. Some of the major milestones that have happened for Timbecon. Industry-leading for supporting multiple device platforms (phone and tablet) plus numerous other features. Both Perth & Melbourne stores moved to bigger and better locations to provide a better shopping experience and expand the range. Fourth generation website released to provide a richer online research and shopping experience. Get to know who you're talking to when you contact us. Our philosophy of reliability and transparency means that our e-commerce business adheres to the Commonwealth Government's Department of the Treasury, Consumer Affairs Division's best practice e-commerce model. We recommend you check the Consumers Online website and read their ten-point checklist. We pride ourselves on being a business of integrity and always strive to be the best that we can be. We also look at new technology as a means of improving your interaction with us and make it a richer, more enjoyable experience so as new technologies become available you can be assured Timbecon will be one of the first woodwork tool companies to implement it.